“I’ve seen things…” a great quote from a great film, Blader Runner, for those who don’t know, and a perfect way to reveal that DJ Mag has spied some tasty offerings coming through from the Denon DJ and Akai Professional camp. Can’t say much more than this, in fact we are sworn to secrecy, but what we can reveal is that there are some exciting things on the horizon! Don't you just love a tease? Denon DJ do, and the video below whets the appetite for things to come — check it out! If that’s not enough from the tech rumour mill we’ve spotted images on the net of a rather cool offering (potentially) coming from Korg, though no one from the company is dishing up any further information. 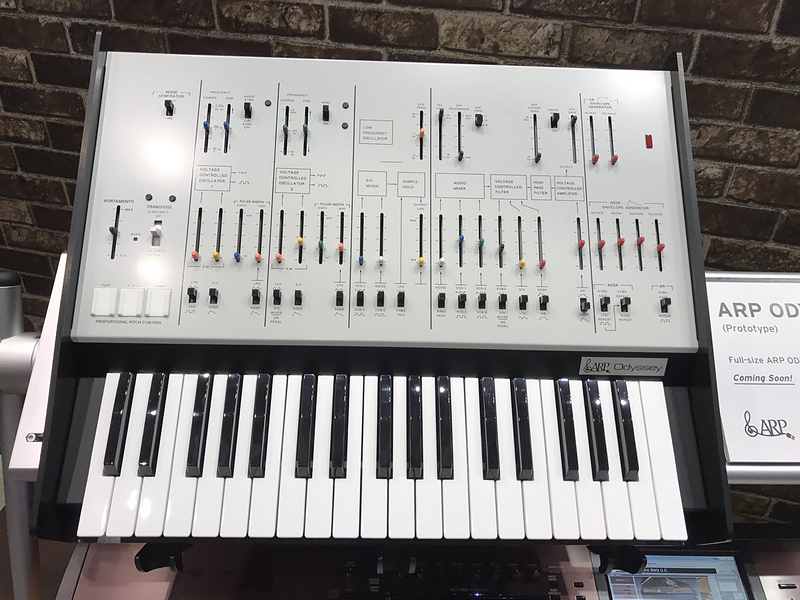 The ARP Odyssey FS, is a full-sized version of their ARP Odyssey mini synth, looking very similar to their re-booted version, however with full size keys which will please synth aficionados everywhere. Check out the pics below — can't wait for this!